This one was tough, she really put them through a lot. I have never felt so sorry for poor Lizzy. Life dealt everyone a cruel hand. 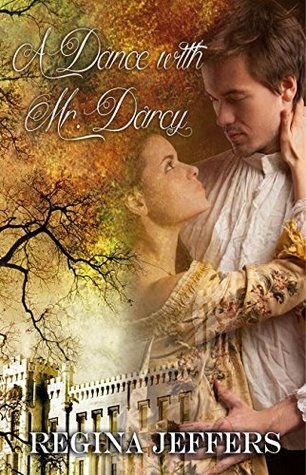 Darcy never returned to Lizzy, though, not by his own choice. He was in a really bad accident and then he married someone else. But that was not the really bad part. Lizzy was dealt a cruel fate by her marriage. Poor poor Lizzy. She was changed, but at the same time not. I liked how the author made her strong. The biggest surprise in this book was Lydia. I actually liked her. It had been 5 years so she had the chance to grow up a bit. Darcy and Lizzy meet again. She is not happy, but slowly they learn truths about each other, and he never stopped loving her. And she never stopped wondering what could have been. Sounds like an interesting twist and second chance romance to the classic story. Don't tell anyone...but I've never read the original version of Pride and Prejudice. I really really need to, because I think I'd love it. I do love a good 'what if?' story, and it looks like you enjoyed this one. I still haven't read the original. haha. It's not my type of book but glad you enjoyed it. Oh, I'm not sure I'd like Mr. Darcy with anyone but Lizzie. I have never read the original or any of the variations. Glad you enjoyed this one. This variation actually sounds kinda sweet in the end, despite the sad beginning. Oh man, that does sound like a tough situation for them. I do love Regina Jeffer's stories so I'll get to it eventually. I must confess, I never read the original ad I have avoided variations of the story. Sounds like you enjoyed it. I really need to read this one!